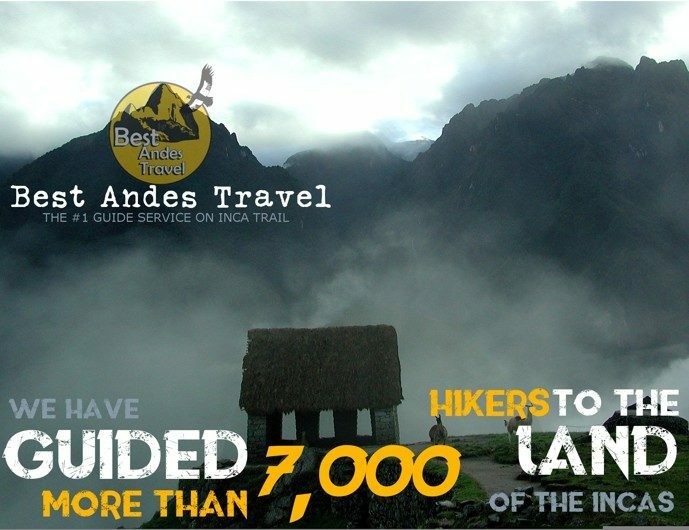 Walking the Inca Trail with Best Andes Travel® – the #1 guide service on Machu Picchu. We have the best guides on the route, with high standards of safety and reliability. We specialize in small group treks and private treks at a reasonable cost. Not a cheap Inca Trail Trek, but a great value for everything you need to have a safe, successful experience. We are Inca Trail to Machu Picchu top operator. Won’t you join us on the summit? Our group climbs feature only the best routes on Inca Trail: 4 day. Our groups average number of participants is 4 people, 01 guide. When there are more than 8 passengers we offer 2 guides. Before reserve The Inca Trail, you must be sure of the Inca Trail availability. All prices are in USD. Our groups are limited to only 12 hikers. We don’t believe in creating large trekking parties as it detracts from the experience. Keeping the party small creates an intimate setting on the route, but more importantly ensures proper attention for each and every hiker. Group trips are guaranteed to depart, regardless of the number of hikers. We can organize private trek on any route, for any length, on any dates, for any size group, subject to staff availability. We fill to capacity many months ahead of time during the high season, so reserve your dates as soon as possible. An Expert Guide with expert knowledge of the area and its customs. Sleeping tents for 4 days + camping equipment.